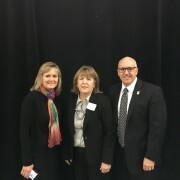 Jan. 26 — Lean tools to boost success in 2011 - Marketing Action, Inc. Learn how to cut waste and improve your business process at “Lean Principles to Sustainability” hosted by Sierra College Center for Applied Competitive Technologies (CACT) in conjuction with DPMG Corp. on January 26, 2011 at the Roseville Gateway Campus, 333 Sunrise Ave, Roseville, CA from 8:30 am to 4:30 pm. $50 registration. Upcoming Lean Workshops: Feb 22-23 Business Process Mapping — Identify the steps and practices for breaking down a process and create a System and Relationship Process Map and April 5-6 Value Stream Mapping (VSM) — See the step-by-step development of current and future state value stream maps and how they can be used with improvement initiatives. 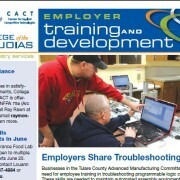 Learn more at Sierra College CACT and Training & Development under 2011 Lean workshops.